Club members only. Normally takes place on the first Saturday in October each year (or as close to this as can be arranged) starting at 10 a.m. 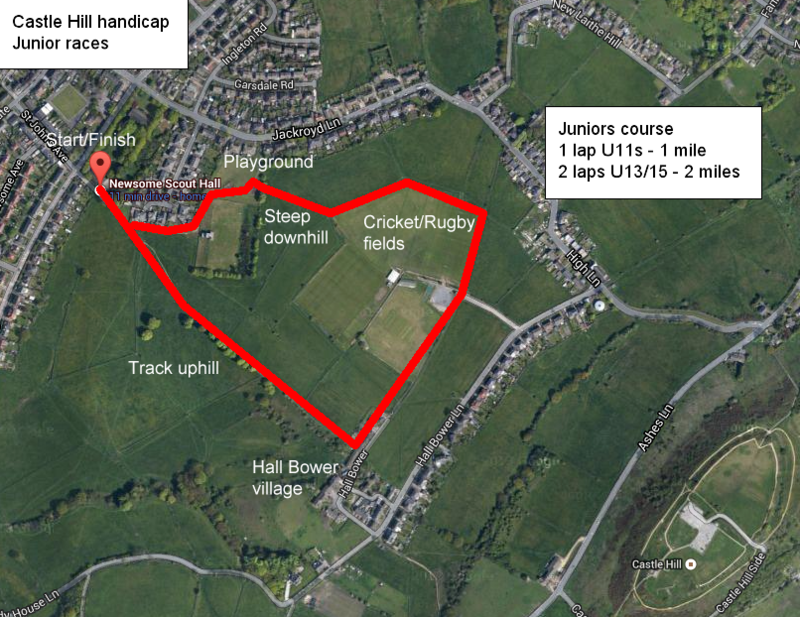 The Route for the junior race is shown below; young athletes stay on a route below and off the road and go through Hall Bower and around nearby rugby pitches.